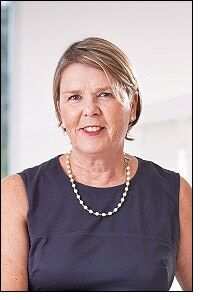 Victoria Keena joined the ADRI in August 2008 as a Senior Consultant after many years as the General Manager of the Woolcock Institute of Medical Research. Victoria assisted with fitout and development of the ADRI since it opened in January 2009. She has had extensive hands-on experience in the administration of a medical research institute. She has been involved with a variety of funding programs and awards to support science and medical research, such as NHMRC, ARC, and infrastructure support programs such as the NSW Medical Research Support Program. Victoria has written peer-reviewed journal articles, published annual reports, edited scientific publications and has co-authored a number of books, including: Peat J, Elliott E, Baur L, Keena V. Scientific writing: easy when you know how. London: BMJ Books 2002. Victoria was also the Executive Officer for the development of Guidelines of the Diagnosis and Treatment of Malignant Pleural Mesothelioma which was published in 2013.